Amitabh Bachchan, the angry young man doesn’t need any introduction. His spectacular personality and humble nature have made us hin fan. Who knew that a voice which was rejected by All India Radio would be paid in millions for narration in movies. He is inspirational model for thousands of people. His recent movie 102 not out directed by Umesh Shukla is very entertaining and has a superb cast consisting Bachchan and Rishi Kapoor. The movie is based on an old son (Rishi Kapoor) which is a boring character who is afraid of life and death. His father (Bachchan) who is 102 years old wants to teach his son that age is just a number and one must celebrate each moment of his life. In a nutshell the movie awakens the living dead to step on and enjoy life. With an extravagant budget of about more than 200 crores this is the 1st movie having a star cast of Amitabh Bachchan and Amir Khan. The movie is based on robbery. It is expected to release on 7th November 2018.
a movie produced by Karan Johar and directed by Ayan Mukherjee having a star cast of Ranbir Kapoor, Alia Bhatt and Amitabh Bachchan having very crucial role in it. 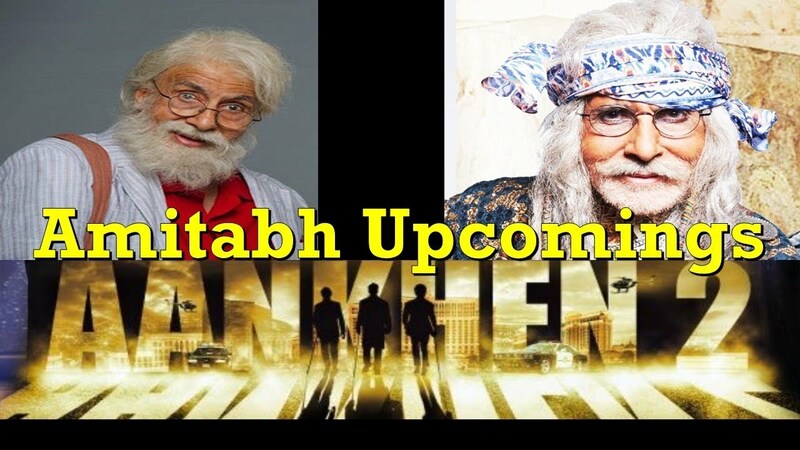 The movie is expected to get released on 15th August 2019.
the director has given most unique movies with Amitabh and is going to collaborate for the 4th time with Amitabh Bachchan. Kangana Ranaut will be in leading role. It is a Telugu film. Chiranjeevi is in lead role where Amitabh is playing an important role. The release date has not yet been confirmed. This movie is directed by Sejal Shah and is a comedy based movie starring Amitabh Bachchan and Sanjay Dutt. Starring the father Amitabh Bachchan and the son Abhishek Bachchan together. It is a science fiction film which is going to be released in 2018.Much Awaited! It is a sequel to Vipul Amrutlal Shah directed Aankhen (2002). The theme of this movie is blind men will rob in the movie. Directed by Chandraprakash Dwivedi, film will be released in 2018. This timeless actor who just refuses to age has his hands full and the audience still wants more of him! Keep going Bachchan sir, We love you crazy!